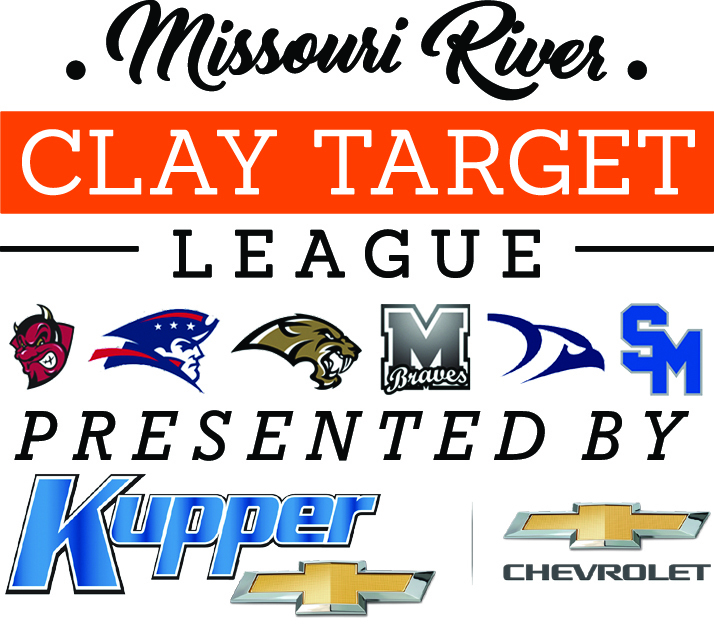 Registration meetings for all six Bismarck-Mandan area middle school and high school trap teams will be held at 6:30 pm on Aug. 27 & 29 for the fall season of the Missouri River Clay Target League (MR CTL), open to students in grades 6-12 with Firearms Safety Certificates. Sign up and informational meetings for students and their parents will be held at Capital City Gun Club, located four miles north of Bismarck on Highway 83. Those students who participated in the MR CTL spring season must still attend one of the two meetings to register for the North Dakota State High School Clay Target League’s (ND CTL) fall season, which runs from Sept. 9 to Oct. 21. Total cost for the MR CTL fall season is $200, ($170 paid by check to MR CTL the night of the meeting, with a $30 fee paid online by credit card with the ND CTL). Student athletes will receive 22 rounds of targets (12 league, 10 practice) and 20 boxes of ammunition which will cover their fall season activities. Participants shoot weekly on Sundays from Sept. 9 to Oct. 21 at Capital City Gun Club. “We are looking to build on this spring’s success, and expect a good turnout, even for this shortened fall season,” said MR CTL Coach Eric Thompson, “autumn is a great time for an introduction to shooting sports, and we look forward to bringing in a number of new student-athletes from all six area schools,” he concluded. The ND CTL started with four teams in 2015, and now has 50 schools participating in its most recent season. Part of the USA Clay Target League which began in 2001, the ND CTL had over 1,400 kids participate in the 2018 spring season, and nearly 1,000 compete in the two-day, open-style State Tournament at the Horace Shooting Park in June. Last year, over 17,000 students participated in affiliated leagues in 31 different states. Unlike sports such as football, where the twelfth best player sits on the bench, every student athlete in ND CTL gets to shoot each week and measure their progress against all other athletes in the state and contribute to their team’s success. The popularity of CTL has grown so rapidly in part because it provides an alternative outdoor sport for students, allows participation for all regardless of experience or skill level and boasts a flawless safety record. Since its inception 17 years ago, involving nearly 65,000 shooters nationwide, there have been zero injuries in practices and competitions. For more information on ND CTL, visit ndclaytarget.com. In addition to attending the sign-up and informational meetings on Aug. 27 and 29, parents can enroll their youth or learn more about the MR CTL team by emailing mrctl25@gmail.com. MR CTL teams are led by a staff of 25 coaches and supported by 55 volunteers who help instruct, score and supervise as part of the 2018 ND CTL spring season. The program is funded by generous donations from local sponsors including: Presenting Sponsor Kupper Chevrolet, Kirkwood Scheels, Delta Waterfowl-Puddle Jumpers Chapter, Nodak Sportsmen’s Club, Rocky Mountain Elk Foundation, Absolute Gun Dogs, Starion Bank, Lincoln Sportsman’s Club, Lexar Homes, Pretty Loaded, Warford Orthodontics, Lewis & Clark Wildlife Club, Wallwork Truck Center, Pheasants Forever-Lake McKenna Chapter, Advanced Business Methods, Entzel Trucking, RMS TriTec, Houston Engineering, Action Motor Sports, Double H Guns, Angie Sersha, Dakota Community Bank, iGear, Bobcat of Mandan, Central Dakota Strutters-NWTF, Mandan Sporting Goods and Prairie Patriot.